Storytelling doesn't have to be digital to catalyze rapid social change. Consider the fastest-selling comic book in the Arab world, called The 99. Though just 11 months old, it's already banned in Saudi Arabia; its cast features 99 Islamic superheroes on a quest to find legendary, mystical Noor Stones needed to save the world. Why 99? All characters are based on the concept of Allah's 99 attributes, including wisdom and generosity, as taught in the Koran. The current issue of The 99 follows some of the superheroes as they race to stop two planes from colliding at a New York airport. During a recent stop in Oxford, I caught up with the creator of The 99, Naif Al-Mutawa, who says he's been a fan of America's Marvel comics and The Hardy Boys mysteries since he attended summer camp in New Hampshire as a child. Al-Mutawa is now 37, a Columbia University Business School graduate and a clinical psychologist. After attending college in the States, he worked as a translator for torture survivors, and decided Muslims needed positive role models. In 2005, he founded Teshkeel Media Group in Kuwait City, where he was born and raised. In July 2007, less than a year ago, Teshkeel began publishing The 99 (as well as select, Arabic versions of Spiderman and other Marvel comics) in the United States and across the Middle East. Al-Mutawa says he hopes the comic books will spread a moderate, modern image of Islam to the world and create new role models. "The Islamic world has had suicide bombers as heroes and needed new heroes," Al-Mutawa told Cause Global. Characters in The 99 include Noora the Light, 18, (a former university student in Sharjah—the third-largest emirate in the UAE—who is now "a light to overcome the darkness"); Mumita the Destroyer, 17 (a street-smart runaway teen from the UAE who is being recruited by both the forces of good and evil to fight), and Dr. Ramzi Razem, 35 (a psychologist, historian, and UNESCO official who lives in Paris as a sort-of Arab version of Indiana Jones, hungry to learn more about the Noor stones and to mobilize the 99 for global peace). There also is Jabbar the Powerful—a 19-year-old whose online profile says he was once "an average Saudi Arabian teen" until he stepped on a land mine and was transformed by hidden gem shards into a "man-mountain, a giant standing over two meters tall and weighing almost 200 kilograms." The good guys, led by Dr. Ramzi, seek to keep Jabbar out of the control of Muslim extremists. How powerful is Jabbar? If he sneezes, his profile adds, Jabbar "could level a house." In recent weeks and months, Al-Mutawa has been busy launching The 99 in Indonesia, India, Bangladesh, and Sri Lanka, countries outside the Arab Middle East where Islamic culture and history are widespread. Teshkeel announced May 19 it would open a theme park this fall in Jahra, Kuwait, based on the action figures. Once upon a time, long before the Web, a Welsh writer by the name of Roald Dahl penned a highly amusing children's book called The Twits, about an annoying couple who pestered each other (or anyone else within earshot) to distraction. The Twits stayed together because they preferred the constant noise and attention to none at all. I couldn't help but recall Dahl's Twits during last week's first media conference on social media hosted by Media Bistro in Manhattan. Robert Scoble, one of the most prolific bloggers in the social media sphere and the managing director of Fast Company TV, spoke passionately about some of the new ways people are using the Web to bring about social change. His brief demonstration of Twitter was especially intriguing. Twitter, for the uninitiated, is a free instant messaging service that is both making noise and breaking news. It lets people in an online social or professional network stay connected with each other in real time—all the time—around the world. A Japanese version of it debuted last month; people from Boston to Burma, CNN and Scoble included, are using it to report the news. Scoble says he considers Twitter potentially revolutionary—"proof that the world has a pulse" as well as a multitude of new voices, views, and common social problems that should be heard. But Twitter also makes a lot of noise. Fans say it's a great way to keep in touch with busy friends: it lets them "tweet" (send impulsive and often annoying little text messages of no more than 140 words to people that pop up, instantly, on their computer screens like blips on a radar). People who aren't fans—mostly early adopters who've been twittering since the beginning (April 2007)—say that sometimes, Twitter makes them feel "too connected" as they grapple with check-in messages at odd hours and a need to stop telling acquaintances what they just had for dinner. During Scoble's remarks last week, of course, Beavis wasn't around to mumble over the proceedings—but things might have been livelier if he had. The first tweet that Scoble got that morning, for example, was from a man in the Ukraine complaining about the sandwich he just ate. (Too bland, he said.) Then, someone in India asked Scoble (and others in their shared social network) whether he should attend some upcoming conference in Asia. Scoble, patient, kept talking to us about how immediacy is "the new intimacy" (trumping, at times, common experience) in the Web 2.0 world. Then, as it became clear that no real signs of intelligent life would be eminating from Scoble's universe that morning, Scoble relented. From the stage, he sent out a live video shot of us—the audience—to his Twitter-sphere, and seconds later, somebody said we looked like a "nice-looking" group. The "global pulse" had a heart (and attention span) after all. If Scoble's point was to show us rather than simply tell us how small the world is getting (or how mercilessly big, mundanely interactive, and more broadly connected than ever), then he succeeded. "Just be careful," he said, "to keep listening through all the noise." Indeed, as with Dahl's fictional Twits, quiet is not an option in these early days of social media. And maybe that's a good thing: at least for now, the world doesn't seem to be listening to itself nearly enough. Despite rising casualties from the May 3 typhoon in Myanmar (Burma), global relief officials are continuing to fight hard to get desperately needed plane-loads of donated water, packaged foods, blankets, plastic sheets, and medicine off the country's air strips and into the hands of victims. Yet most aid, nearly two weeks after the storm, is still not reaching the needy. 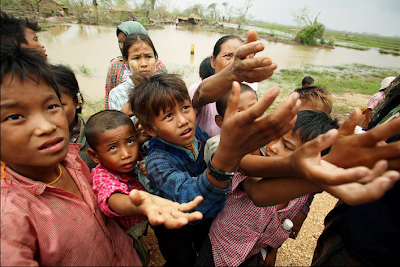 Michael Kiernan, a spokesman for Westport, Conn.-based international aid group, Save the Children, tells Cause Global that Myanmar's ruling junta is blocking distribution—stealing, diverting, or warehousing for its own use the lion's share of supplies being flown in by donors worldwide. (The United Nations said today the World Food Programme is getting in only about 20 percent of the food needed due to the bottlenecks.) Further, the junta is barring all foreigners, including credentialed diplomats and journalists, from entering the country, and aid workers are being prohibited from accompanying any donated aid, tracking its distribution, or following up on its delivery. Thanks to the use of social media—from Twitter to mobile video—detailed accounts of what's happening inside Myanmar (and what's not) are leaking out to the West. For an up-to-date account of the political challenges that international aid workers are facing in their push to help typhoon victims in Myanmar, see this May 14 YouTube/Al Jazeera interview with Tom Costello, CEO of World Vision, a Christian global relief nonprofit, on the ground in Yangon (Rangoon). For some background on Myanmar's repressive military regime, see this Washington Post story, which lends some context to the aid blockade. World Vision's Costello insists it's important to keep raising money, sending basic food and supplies, and working to get around the bottlenecks—given the evidence of escalating need in the region detailed in Web reports. Ned Olney, who is overseeing Save the Children's response in Asia from his office in Washington, D.C., says the nonprofit's 35 sub-offices in Myanmar and 500 full-time staff already on the ground there "are helping us get some supplies through when other groups are finding it impossible." (The U.S. Office of Foreign Disaster Assistance has consigned Save the Children to distribute three planeloads of supplies; the U.K. has asked it to help distribute two such additional planeloads.) "It's not that nobody has access, because we do," Olney says. "But there's no question that it's been difficult and it's still a very delicate situation." Moreover, Olney, Costello, and others agree that a more coordinated approach by aid groups worldwide is needed now and in the future to resolve common disaster relief challenges, chiefly those posed by distribution snafus including geopolitical conflicts. The New York-based Committee Encouraging Corporate Philanthropy (CECP) is discussing the creation of a global "SWAT team" of corporate aid networks to help donor groups avoid the all-too-frequent disconnect between need, distribution, and resources at home and abroad in the wake of natural disasters. "Business groups should develop rapid deployment logistics teams and they should be formal and should be housed somewhere," says Alan G. Hassenfeld, Chairman of Hasbro Inc. and a founding member of the CECP. "And they should be made up of people who are able to interconnect on a global basis. We live in a world where there is going to be another disaster somewhere soon, ongoing, so let's mobilize now." Can it work? Expect to hear more about the notion in social entrepreneur think-fests later this summer and fall. 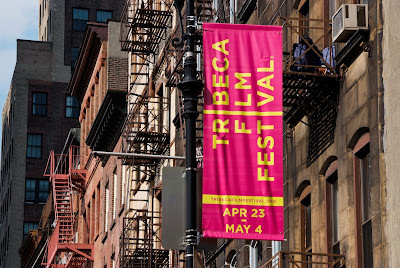 Filmaker Gini Reticker's Pray the Devil Back to Hell took top honors this week for Best Documentary Feature at this year's Tribeca Film Festival. Produced by philanthropist Abigail Disney, the documentary tells the story of how Christian and Muslim women in Liberia—despite religious and ethnic differences—united in 2003 to bring an end to their nation's bloody civil war. According to Disney, it took her and Reticker 18 months to make the film: few international media networks saved footage of the peace effort, while others failed to film it as it evolved, believing it not to be important. In a recent interview with Contribute Media Online, Disney said that during a trip to Liberia, she learned of the movement, then realized the unusual alliance was in the process of being forgotten. "The story about the Liberian women peacemakers was in the air—but in little pieces, like shards of a broken thing you want to put back together—only this story was missing some pieces," Disney said. "I know from women’s history and women’s literature through the centuries that women do things and then we forget them—and then the next time a group of women attempts to do something similar, everybody thinks that women are doing it for the very first time," Disney added. "It seemed to me that here I was a witness to the erasure of a historical moment and I had the capacity to prevent that from happening." To see an excerpt of that film, plus Contribute Media Online's full interview with Abigail Disney, click HERE. Other highlights of this year's festival included a new screening of the The Devil Came by Horseback, film-maker Annie Sundberg's award-winning 2007 documentary about former U.S. Marine Capt. Brian Stiedle's experiences as an unarmed observer for the African Union in Darfur in 2004. "Brian provided the eyes through which to tell Americans about the genocide in Darfur," Sundberg told CauseGlobal. "With this film, I was seeking the story behind the headlines." Both Sundberg's and Disney's films are stories about dislocated African cultures and the struggle for peace—in one case, successful, and in the case of Darfur, still blatantly unresolved.